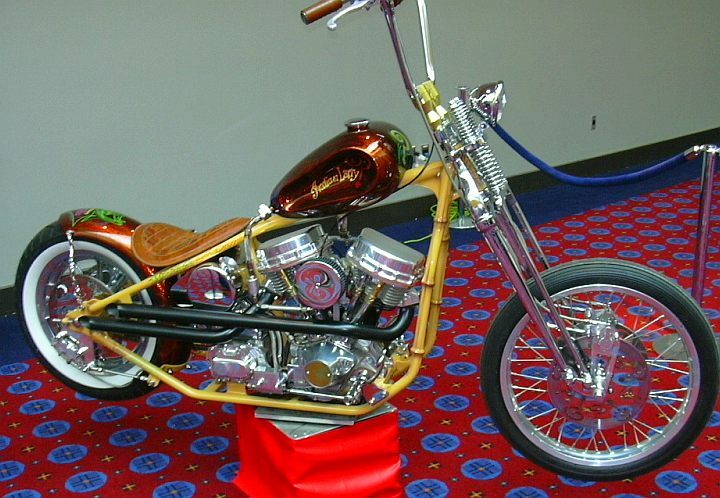 I have been waiting for a few months now to attend the Portland Easyriders show. Why??????? 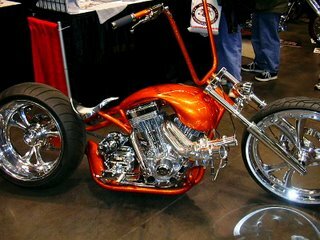 There were only a handful of bikes on display, I did not see any celebrity builders like I wanted to. I just wasn't that impressed. Lots of old guys walking around in leather chaps, rather than the black suits and ties they normally wear. Here is a picture of one of Indian Larry's bikes on display. 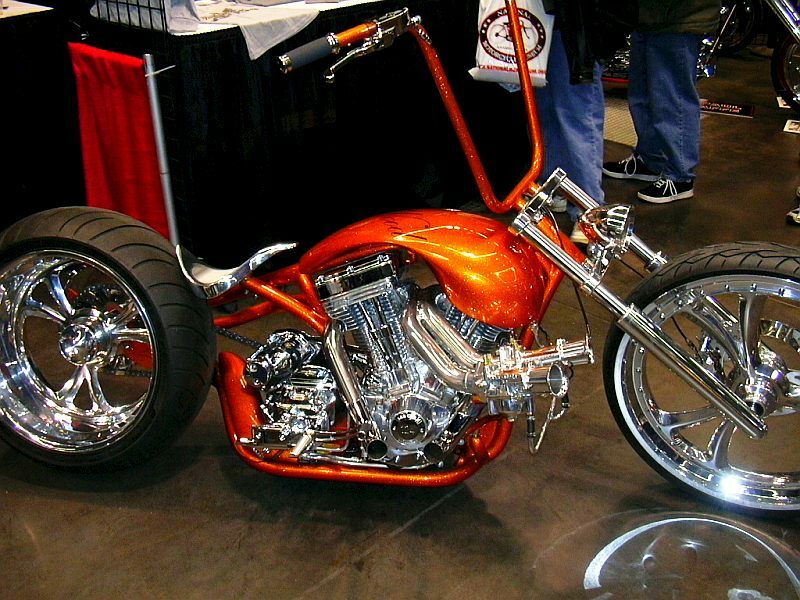 Pretty darn cool bike. This bike stole the show for me, at least for the few bikes that were there. Reminiscent of the Matt Hotch V Lux. Very cool. There were 3 Venoms in the show, I was happy to see that. Overall, overpriced, unimpressed, and somewhat boring. Lesson learned, I am not a biker. I saw it advertised and was kinda hoping Thomas would show some interest so we could go. I guess I'm glad I didn't. I figured there'd be TONS of bikes. Too bad. You're a biker all right, you're just not a "biker". There's a difference. Dude, I was at that show...there were quite a few 1% there...they are bikers. Lot of posers, lot of wannabes, whatever. I always figure if you ride, you are a "biker". I was alittle disappointed at the prices to get in. I was also pissed I didn't ride in. Went with 2 other couples and one of them don't ride. I really dug the "all in" bike. Right in front of the doors. The "demon" bike was pretty cool, too. Almost walked away with a Big Dog Mastiff. Love that bike...stock with a S&S 117". bet it frickin hauls!